As you can imagine, in a country where underground geothermal fields provide 20 percent of the nation’s electricity, there is no shortage of natural and man-made pools that can be enjoyed year-round. In the greater Reykjavik area alone, there are around 18 indoor and outdoor pools, some of them touting steam rooms, saunas, and hot tubs as well. The biggest and most conveniently located is Laugardalslaug. 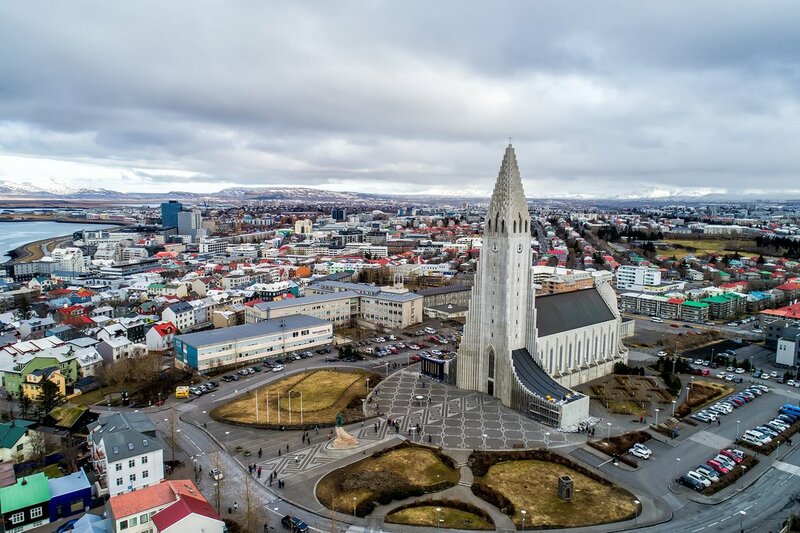 Just a 30-minute walk from Hallgrimskirkja, Reykjavik’s tallest church, its facilities include an outdoor pool, a children’s pool, two waterslides, several hot tubs, a steam bath, a gym and a mini-golf course. 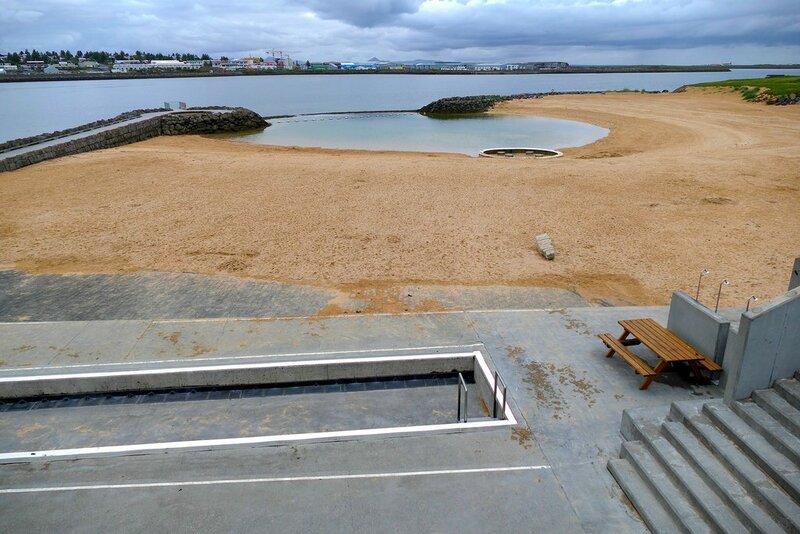 If you are more of a beach person, Reykjavik has that as well. Head to Nautholsvik Geothermal Beach, a local favorite especially on a hot summer day. Because the water of the Atlantic is freezing cold in Iceland, hot run-off water is used to warm up the water in the lagoon so you can enjoy a pleasant swim. Reykjavik’s main concert and conference hall is a destination in itself. The striking glass architecture of Harpa has earned it multiple international awards including a World Architecture Award in 2010. If you are interested in learning more about the building, the origin of its name, and the inspiration behind its design as well as photograph it from different angles, you can book a guided half-hour tour. 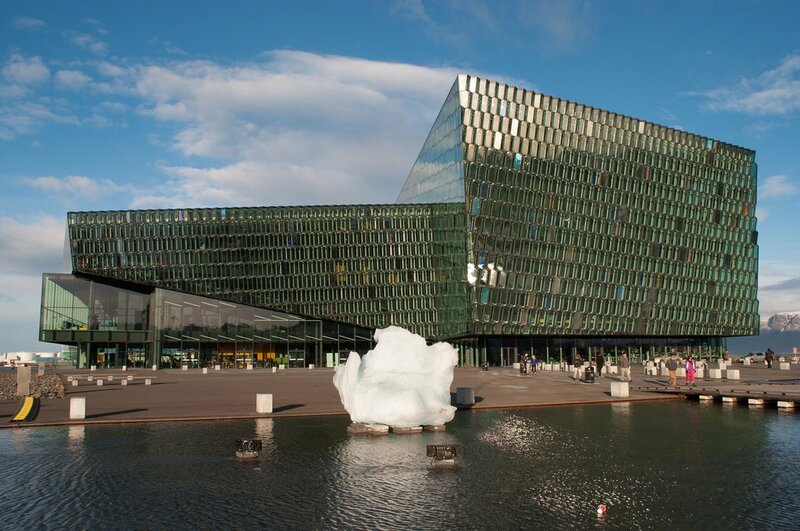 Harpa also offers multiple event spaces where you can catch concerts, festivals, theater performances, exhibitions, or comedy shows year-round. For a full schedule of events, click here. When you're done exploring, have a cocktail at Kolabrautin, a modern eatery located on the top floor, and enjoy the view over Reykjavik’s Old Harbor. Hallgrimskirkja, a Lutheran church located in the heart of Reykjavik, was finished in 1986 and is a recognizable landmark of the Icelandic capital visible from anywhere in the city. Its modernist architecture was inspired by the basalt rock formations that are formed when lava cools down (a phenomenon you can see pretty much anywhere in Iceland). 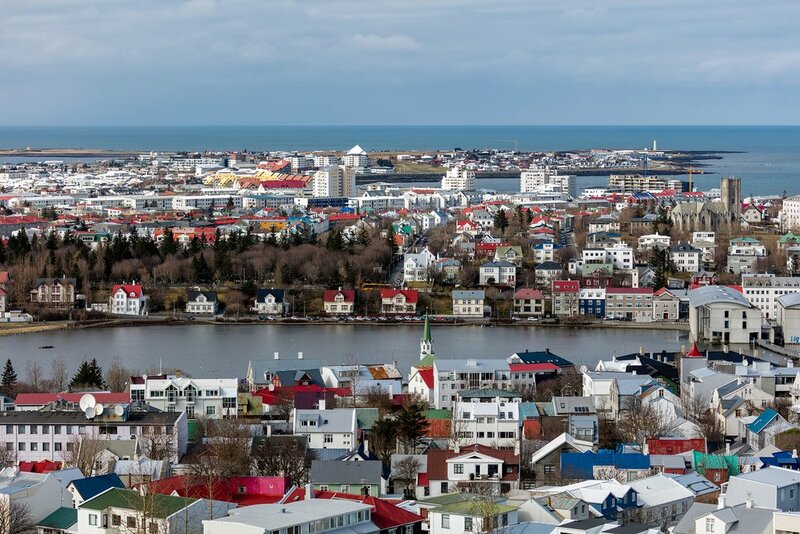 And while you will undoubtedly snap a picture of it from the outside, do not miss your chance to see Reykjavik from above—the church’s tower is almost 240 feet high and offers sweeping views over the capital. 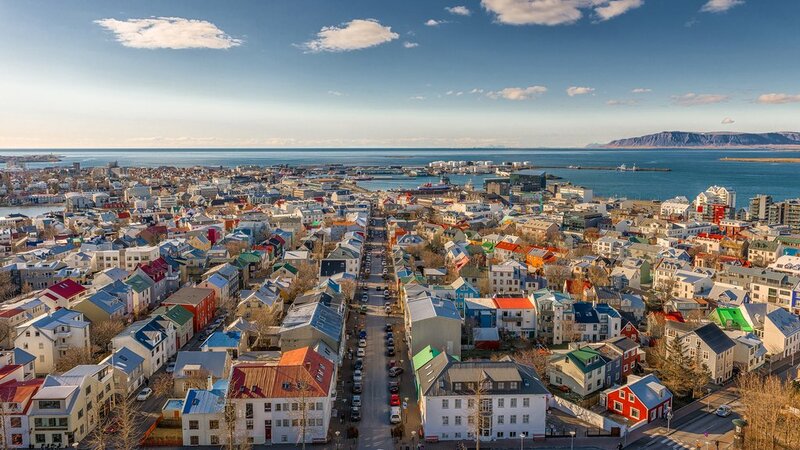 Reykjavik is one of the most walkable capitals in Europe. Chances are you probably won’t need to walk more than 15-20 minutes to get to a local attraction. Start off with Hallgrimskirkja and walk past the statue of Leif Eriksson, a famous Icelandic explorer. Head down on Skólavörðustígur street, one of the main shopping streets in the city. At some point, you’re going to reach an old stonewall building which interestingly enough was a prison until 2016. 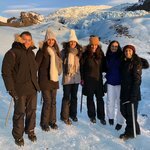 If you’re in a serious shopping mood, you could also walk a couple of blocks east of the church until you reach Laugavegur street which has a lot more local boutiques. Don’t miss Reykjavíkurtjörn, Reykjavik’s pond, that’s located in the city center. 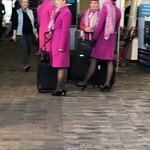 If you happen to be visiting in the winter, you may even go ice-skating there. 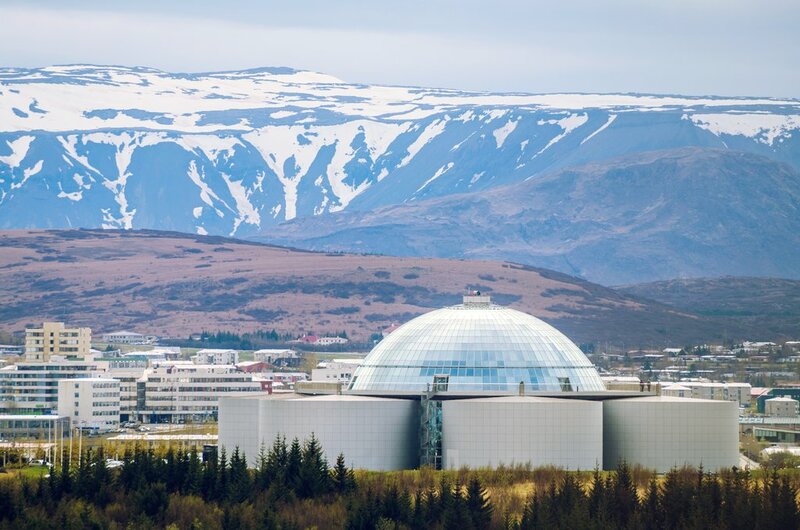 Other notable nearby attractions are City Hall, the Parliament, Dómkirkjan (Reykjavik’s oldest church), and Sólfarið, or Sun Voyager, a boat-like statue that symbolizes hope. Just like Hallgrimskirkja, Perlan is hard to miss. It is basically a glass dome sitting atop the city’s geothermal hot water reservoirs. It has a 360-degree viewing deck that offers sweeping views of Reykjavik and on a good day, you may even be able to see Mt. Snaefellsjokull across the bay. As of July this year, Perlan also hosts a Glacier exhibition. More exhibitions and a planetarium are scheduled to open in 2018 as the goal is to make Perlan Iceland’s first natural museum. And speaking of museums, Reykjavik offers a few more that definitely deserve a visit: the Árbær Open Air Museum, which displays ancient Icelandic houses; the Whales of Iceland, which has 23 life-size models of whales, the Saga Museum, where you can find out more about Iceland's history, and the Settlement Exhibition, which details life in the country during Viking times. 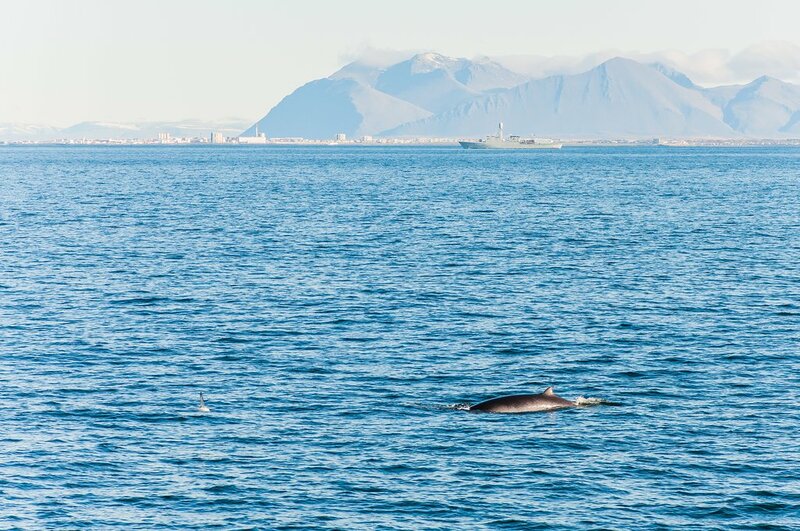 The best time of the year to see whales in Iceland is between April and October, but whale and wildlife watching tours in Reykjavik are available year-round usually departing from the Old Harbor. Interesting fact—the 1993 blockbuster movie Free Willy was actually portrayed by Keiko, an orca captured in East Iceland. Tours usually last around three hours and the most common types of wildlife that can be seen are minke and humpback whales, white-beaked dolphins, orcas, and harbor porpoises. No visit to Reykjavik is complete without exploring its food and beverage scene. Dill is now the first Icelandic restaurant to receive a Michelin star, and four other eateries in Reykjavik have received honorary mentions in the prestigious guide. 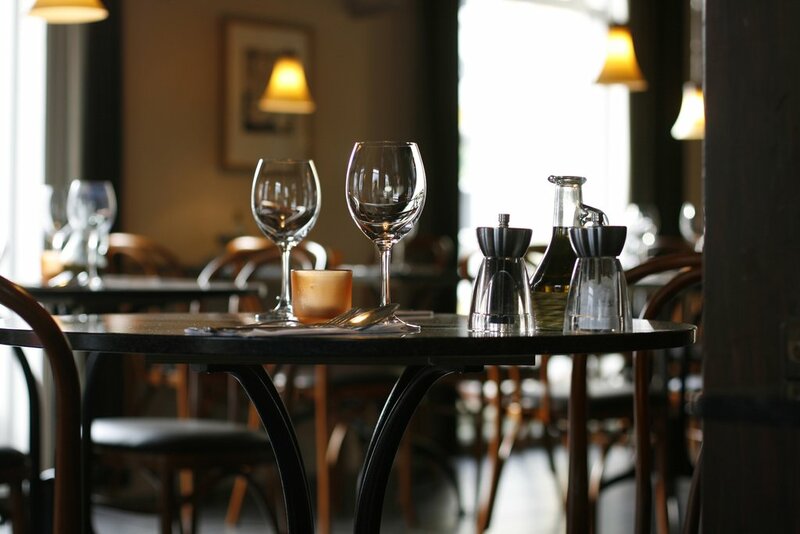 But you don't have to find a Michelin-rated spot to have a good meal in Reykjavik. If you are curious about traditional Icelandic food, head to 3 Frakkar, a family-owned restaurant that's been around for almost 30 years. Take a walk along the harbor and you are sure to find a restaurant - Kaffivagninn, for example, serves traditional seafood dishes. Considering that beer was banned in Iceland until 1989, the country has been experiencing a microbrew revolution in recent years. You can explore the local scene on your own, or sign up for a beer tour that will take you bar hopping in some of Reykjavik’s hippest bars.